Totem 19 inch Mini Bartop Arcade Game Machine With Pandora Box 3 (Description: 1. 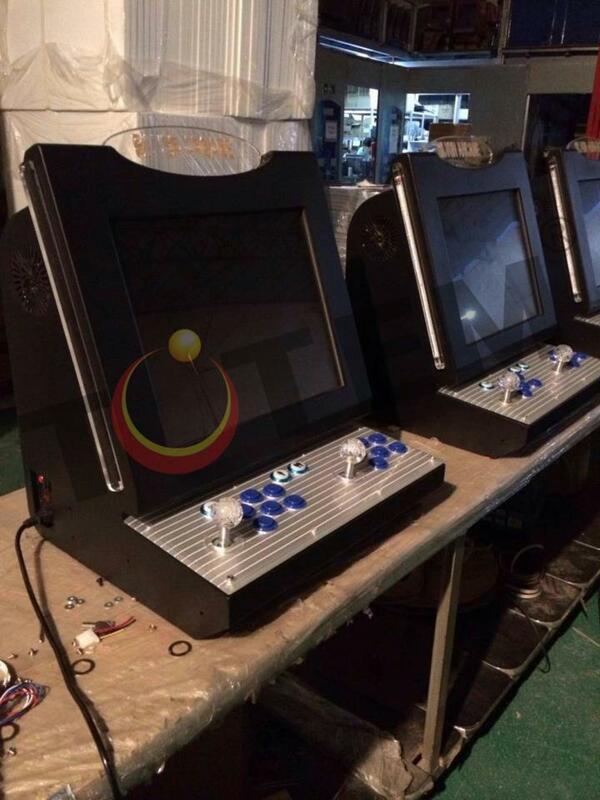 Desktop style suit for game center, home, Party, Bars, Club, Cafe shop, Advertising, Present etc 2. Quality metal cabinet with quality painting 3. 19 inch TFT LCD with tempered glass protect 4. 485 classic game / pandora box 3 5. Multi coin acceptor for local currency coin 1-6 different value coin 6. 2 players, joysticks and pushbuttons 7. 28P standard jamma harness 8. Color: Black / white 9. Package: W500*D450*H550mm) collected in Totem - Chris by Chris Wu - Collected It!